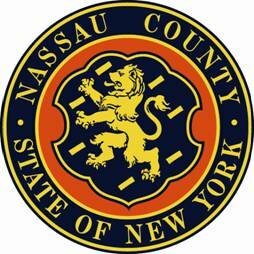 Homicide Squad detectives report the details of a Serious Vehicular Accident involving a pedestrian that occurred on Thursday, February 26, 2015 at 6:43 pm in Cedarhurst. Cedarhurst, NY - February 26, 2015 - Homicide Squad detectives report the details of a Serious Vehicular Accident involving a pedestrian that occurred on Thursday, February 26, 2015 at 6:43 pm in Cedarhurst. According to detectives, while attempting to cross Peninsula Boulevard at the intersection of Oxford Road, a 49 year old female was struck by a 2008 Toyota Matrix that was traveling westbound on Peninsula Boulevard and was driven by a 63 year old male. As a result of the accident, the female pedestrian suffered traumatic head injuries and was transported to an area hospital for treatment. She is currently listed in serious condition. The vehicle involved in the accident was impounded from the scene for brake and safety checks. The investigation into this non-criminal accident continues. Subject: LongIsland.com - Your Name sent you Article details of "Woman Seriously Injured in Cedarhurst Crash"